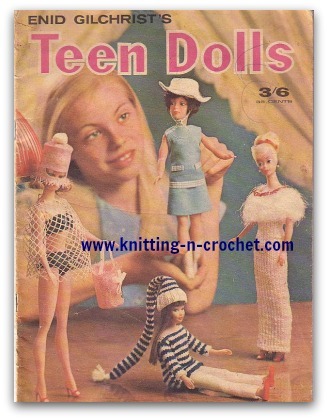 Ebook of vintage Barbie doll clothes 36 has about everything you need to knit, sew or crochet for the fashion doll. Over 20 patterns in this one ebook. There's nothing quite like the enjoyment you get out of knowing that you've used vintage doll clothes patterns to clothe your child's dolls with your own hands. The level of personal touch this brings to play time will forever be ingrained in your child's memory. These clothes will be special long after your child no longer plays with dolls. 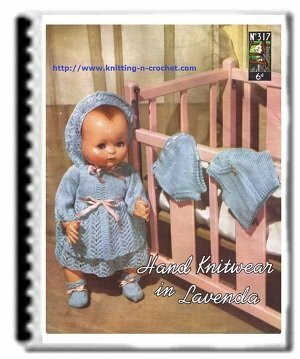 In this ebook, you will find doll clothes patterns for dolls of varying sizes. Designed to fit styles of the teenaged dolls that young girls most often play with, these classic designs can be used to take your daughter on a trip back through the ages. Vintage Barbie dolls have always been a favorite among young girls. Emulating the adults they are growing up to be, teenaged dolls give young girls the chance to explore every aspect of life. From cell phones to home settings, modern girls interact with their dolls in ways that we did not when we were children. But this doesn't mean that we can't give them an appreciation for custom, hand-made items. Even when placed on dolls, there is something special to children about items that were made especially for their use. 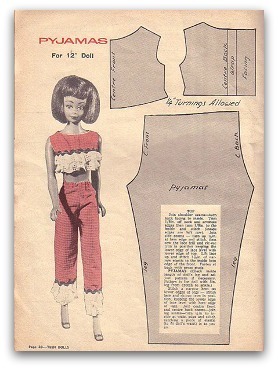 These easy to use patterns allow you to make specialty fashions for your child's doll or varying sizes. Combining sewing, knitting, and crocheting into fashions that will never go out of style, your daughter and her friends will not only have a unique fashion play opportunity, but also learn an appreciation for the effort that goes in to making such items. The patterns included in this book will allow you to introduce your children to these important life skills. The modern generations no longer learn how to operate a sewing machine as part of their regular education, with even the tradition of the home economics course no longer offered in most schools. By using these doll clothes patterns to create custom outfits, you can introduce your children to an understanding of what these dying skills are capable of creating. 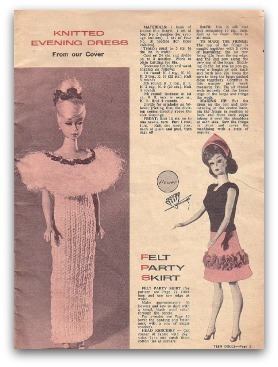 Also included in this vintage Barbie doll clothes 36 ebook are designs for making customized wardrobes for your clothes to be displayed on. Your children will delight in having this special area to display their hand crafted doll clothes from, and integrate it into their everyday play environment. Creating a customized world for your daughter's teenaged dolls, of all sizes, starts with the easy to follow patterns in this ebook offering.